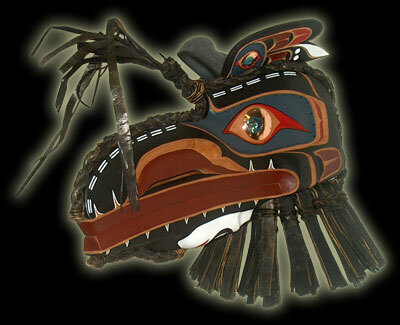 Carved from red cedar with acrylic paint and varathane - inlaid abalone and copper. Dressed with Black cedar bark rope. Mouth moves up and down.